There are many great projects you can work on to make your home better. And for many of us, it’s important to improve our properties where we can. You need to pinpoint changes or additions that are going to help make your home more attractive to buyers. And the best way to do this is through renovations. Specifically, expanding and extending the home will have a great benefit. Now, a lot of people choose to expand their homes, but many don’t prepare properly. As such, they waste a great deal of time and money trying to sort out problems. Here is a list of everything you’ll need to account for when you’re planning to expand. It’s not just the intricacies of the extension you need to think about. You’ve also got to account for the time of year you want to expand. The weather is going to be a major factor in any sort of external work. So, it’s probably not the best idea to attempt this kind of project in the winter. Rain and snow are going to be a nightmare to battle against. Instead, you need to think about doing this sort of thing in the spring or summer, when it’s hot and dry. Another thing you’ll want to take into account is where you live. Believe it or not, this is an important consideration when it comes to planning your extension. 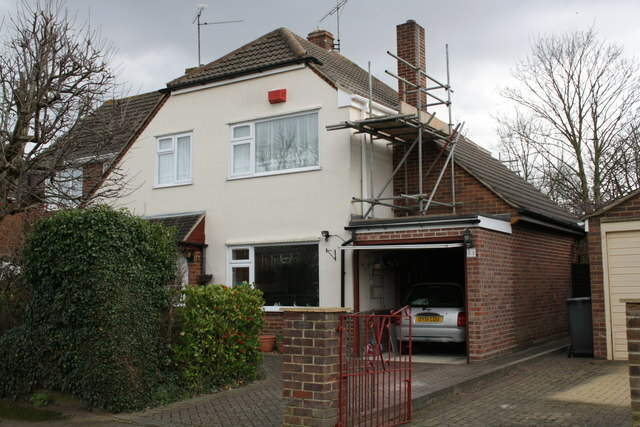 If you live on an estate as part of a block of homes, you might not have the space to do an extension. And if you do it could end up being rather small. Whereas a detached house on its own will have plenty of room for any sort of expanding. Think carefully about the area you live in. Try to find out if anyone else from the area has built any extensions and speak to them about what they did. Now, planning any extension work on the home is not as simple as just thinking of it and doing it. There are certain times and places when you may need planning permission. So, you need to find out whether this applies to your situation. If you start work without planning permission, you’re going to be in big trouble. Not to mention the fact that you’ll have wasted a great deal of time and money doing it. Make sure you get planning permission sorted out before you attempt to do any kind of work. You need some work done, who ya gonna call?! Well, all kidding aside, that is something you need to think hard about. You’re planning to make some major home additions, so you need to make sure you get the perfect people for the job. Something like this is too complicated for you to attempt yourself. Put feelers out, and make contact with the relevant parties. Then you’ll be able to enjoy the perfect extension for your home. Don’t forget, planning an expansion on your property is a big step, and you need to get it right. It’s going to be a lot of work and a lot of money. So it’s essential you get it right first time. Now you’ve read this post you should be in a position to plan the perfect extension.